Haringey Council are committed to the regeneration of Seven Sisters and transforming Seven Sisters into the gateway to Tottenham. 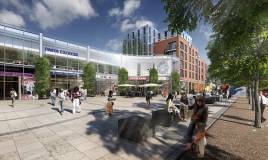 Grainger Seven Sisters have planning permission to redevelop the Wards Corner site. The development site includes all of the land between Tottenham High Road, Suffield Road, West Green Road and Seven Sisters Road. The scheme will redevelop the existing site into 196 residential units and 40,000 sq ft of retail space. The project will provide a new, purpose built, long term home for Seven Sisters Market and create a new focal point for the community. To find out more about this development visit Seven Sisters regeneration (external link). Haringey Council’s South Tottenham Customer Service Centre, Apex House, is being developed into mixed use housing and retail scheme of which 39% will be affordable. 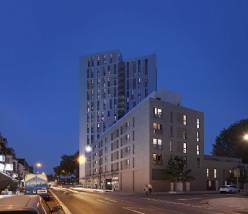 Planning permission was granted in May 2016 to redevelop Apex house on Seven Sisters Road into 163 new homes and includes space for a new Seven Sisters Market and significant improvements to the surrounding area. The Customer Services Centre has been relocated to Marcus Garvey Library at Tottenham Green. To find out more about this development visit Apex House development (external link).